PITTSBURGH—The University of Pittsburgh’s first major commitment to renewable energy will utilize the Allegheny River as the source of clean, local and longterm electricity for the campus. Pitt has signed a letter of intent with Rye Development, LLC to purchase 100 percent of the power from a low-impact hydroelectric power plant to be built at the existing Allegheny Lock and Dam No. 2, just below the Highland Park Bridge, less than five miles from campus. 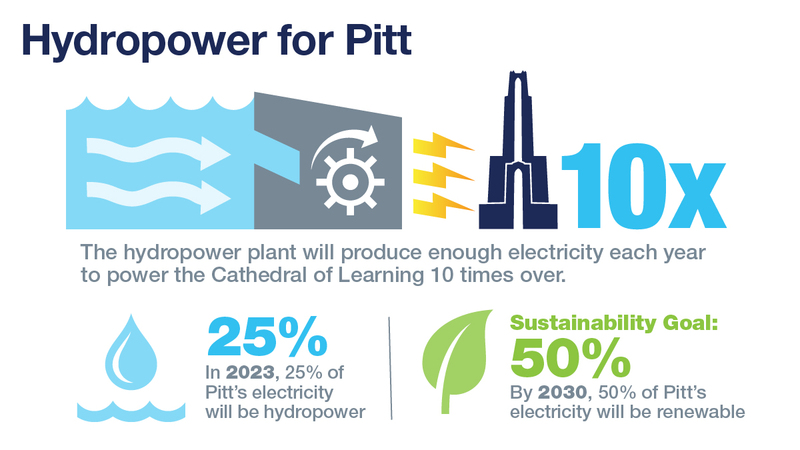 Expected to open in 2022, the facility will supply about 50,000 megawatt hours of power per year, which equates to 25 percent of the electricity on the University’s Pittsburgh campus. This investment will help Pitt to achieve its Sustainability Plan goal of 50 percent renewable energy for the campus by 2030, said Greg Scott, Pitt’s senior vice chancellor for business and operations. “As a research institution and community partner, we are committed to leading by example with sustainable practices that will help future generations thrive in a world that is environmentally responsible, socially equitable and economically robust,” Scott said. Pitt’s sustainability goals also include increased energy efficiency, along with a 50 percent reduction in greenhouse gas emissions by 2030. Aurora Sharrard, the University’s director of sustainability, said the projected amount of hydropower is the equivalent of taking nearly 8,000 cars off the road. This low-impact hydro plant at Allegheny Lock and Dam No. 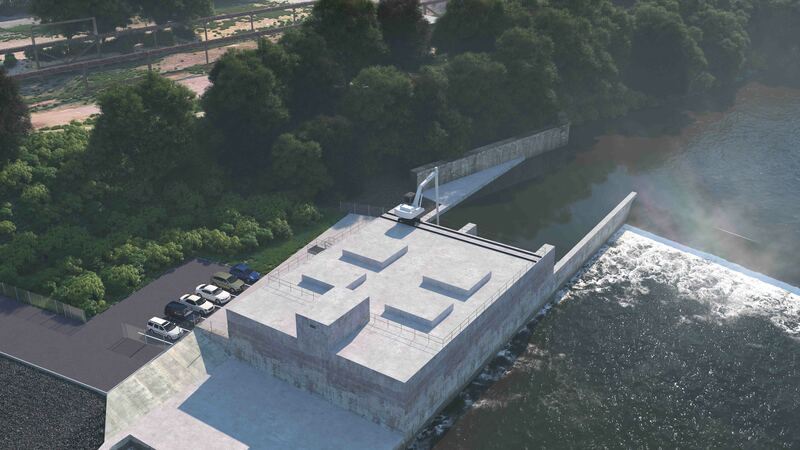 2 will be the first of eight potential hydropower facilities planned by Rye to capture the energy from Pittsburgh’s three rivers. “Pitt’s leadership in sourcing a significant percentage of its power from Pittsburgh’s rivers is a positive step for the University and for the region as well,” said Paul D. Jacob, chief executive officer of Rye Development, LLC.